Presenting valuable show dogs at national or international Kennel Club meetings or Dog Shows is a full-time job: not only must the four-legged candidates be healthy, in top-shape and perfect form - also cosmetical aspects play an important role to win the Show and be a CHAMPION! No Dog Show allows unhealthy dogs to be presented in the ring, and every effort must be taken to avoid any possible hazard of spreading infectious diseases between the show dogs. Effective control mechanisms, mostly under the supervision of veterinarians, are established at least in the larger and more important shows, to sort out dogs with diseases, fever or non-tolerable behaviour. But who looks into the mouth? Very often the judges inspect the oral cavity very meticulously, because a healthy, clean and correctly developed dentition and skull is a paramount part of the general appearance and status of any candidate. Skull, alveolar bones and dentition have to match the breed “Standard” of every registered breed. Missing or discoloured teeth, covered with slimy unhygienic masses or unpleasant odour from the mouth would not be a favourable precondition for a successful presentation. An “average mouth”: no signs of severe gingivitis or periodontitis are present, but unattractive discolorations and biofilms (plaque) are obvious; not good enough for a CHAMPION. This 7-year old Malinois shows signs of use and wear (abrasions) but his teeth are clean, gums and periodontium are in excellent condition. An unhealthy and unattractive dentition is in most cases caused by periodontal disease, which is the most common of all diseases in mammals. More than 80 % of all adult individuals – may that be cats, dogs or humans – suffer from it. The prevention of periodontal disease is a life-long struggle which includes home-care, appropriate nutrition and – if unavoidable – professional veterinary treatment. Only approximately 10 % of pet dogs receive daily oral hygiene, this means that many dogs suffer from a very poor condition in their mouth, continuous active infection, associated with permanent pain, finally loss of function due to lost teeth and or even organ infection. As a precondition for successful work with breeding dogs and show dogs, owners of these animals have a by far higher motivation (and education) and take good care of the overall health and dental condition of their precious dogs. Regular tooth brushing, appropriate nutrition, systematical controls and health checks at the veterinarians are of paramount importance. For every showdog, daily tooth-brushing with special toothbrushes and tooth-pastes is highly recommended. Never use human tooth-pastes, they are not only badly accepted by dogs, but also contain ingredients, which can damage the gums. If discolorations are detected, tartar-build up or halitosis is present, the veterinarian should be contacted. Not too long before important shows, the dog should be seen by a vet and – if necessary - get a complete dental check and prophylaxis , which means a thorough cleaning and removal of all soft biofilms (Plaque) and hard mineralised debris on the dental surfaces (Tartar, calculus). The teeth should be polished after cleaning to avoid rough dental surfaces after the procedures, which would allow new plaque to recolonise again very quickly, making repeated procedures necessary year after year. Dental plaque is highly pathogenic and the primary cause of both gingivitis and periodontitis or even tooth loss. In addition these aggressive plaque bacteria can enter the blood stream and be spread across the whole body, which may cause septicaemia and organ disease. The accumulation of dental plaque on the dental surfaces is the primary cause of Gingivitis and Periodontitis, thus the key for success in preventing such periodontal conditions is control of the plaque -> no plaque – no gingivitis/periodontitis! The benefit of professional periodontal therapy is short-lived unless followed by effective home care. Regular tooth brushing is the best method to achieve that, but both owners and dogs are not always able to handle this, also oral medications can help to reduce plaque. Foods which encourage plaque build-up should be avoided. This includes snacks between meals, high carbohydrate foods such as table scraps, sweets and others unnatural food for dogs. Feeding specially formulated nutrition (specific dental diets, diets with an included dental benefit across the range, dental chewing sticks) is an additional effective way to reduce the amount of plaque in the oral cavity. 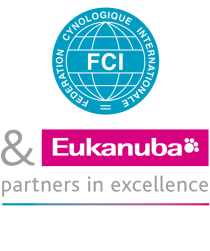 Dr. Dr. Fahrenkrug is one of the internationally leading experts in canine dentistry.